So, I’m preparing to go on a monster eating tour of the Pacific Northwest in a few weeks, hitting up Seattle again (which feels like my West Coast “home away from home”) and Portland for the first time (which I am super excited about since everyone touts it as a ‘Foodie Paradise’). As part of that preparation, I’ve decided not to over-indulge in all the delicious foods of Philadelphia so that I can make room for all the delectable goodness that will surely cause me to tip the scales upon my return. So no burgers, no pizza, no pasta, no rice, no junk food, NO BEER (!!) – and other treats in limited quantities, until August 9th! Veggie Burger #2 is supposed to be the totally vegan, all veggie burger. It has a little bit of visible corn in it as well as some other veggies. I obviously am not a vegan because I put cheese on it. (Another thing I am trying to limit, but I was worried it would taste like cardboard if I didn’t put cheese on it.) And I was pleasantly surprised! It was totally tasty. I wanted to eat it all but remembered we were splitting them. 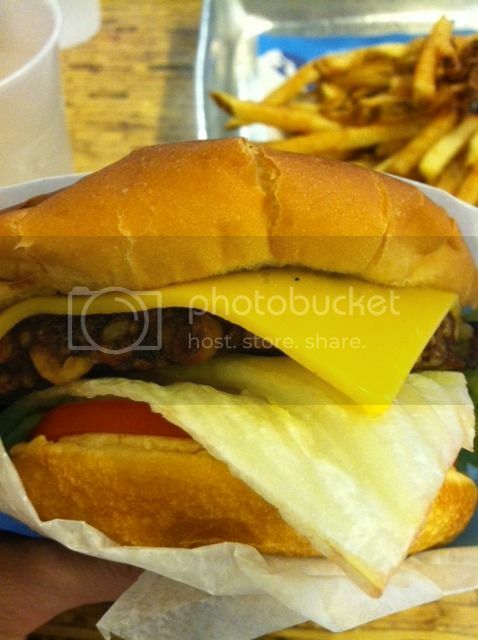 As for Veggie Burger #1, it was supposed to have a “fire roasted taste”; maybe if it was fire roasted BLAH! It had absolutely no taste at all, the cheese didn’t help, and I wanted to cry about how bland it was after I finished eating it. 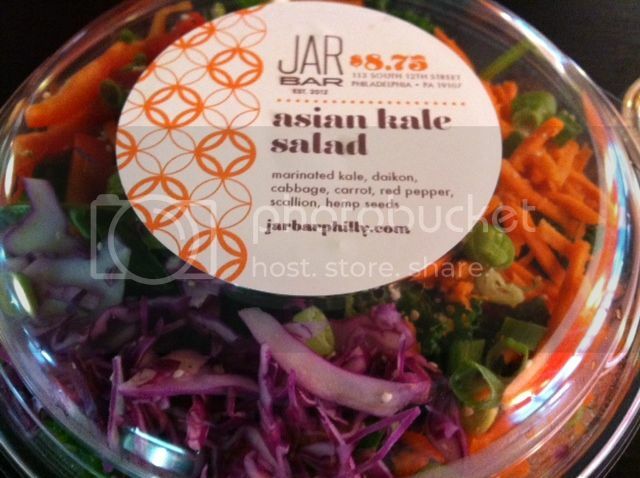 I also took a raw foods adventure at Jar Bar Philly, ordering a delicious Asian Kale salad. I mean, I guess that’s not really jumping head-first into the raw food movement since salad is already raw, but I dipped my toe in the pool. I also got a Strawberry Kale Lemonade elixir, which was totally delicious and surprisingly filling. And we split a chocolate mousse pie for dessert, which did not taste like cardboard or like it was some lo-cal diet gross thing. It was super yummy and now I wanna make it forever and ever. The trip to Jar Bar was basically just to get an idea of what exactly raw food is since we are planning on doing the 3-Day Catalyst Juice Cleanse right before our trip. (In case all the trying to be good about eating and stepping it up with the exercising isn’t working out well enough.) I’ve never done a cleanse before, but I read up on a friend’s experience with the same cleanse and it seemed not to be soooo bad. I’m still a little bit nervous about it, but another friend is also doing a FIVE day cleanse right now and he seems to be doing alright. I’m sure a lot of it is easy if you have good willpower and self-control. I think maybe if I was eating fast food and other junk stuff all the time already prior to this, it would be difficult to go cold turkey and just drink juice six times a day for three days. 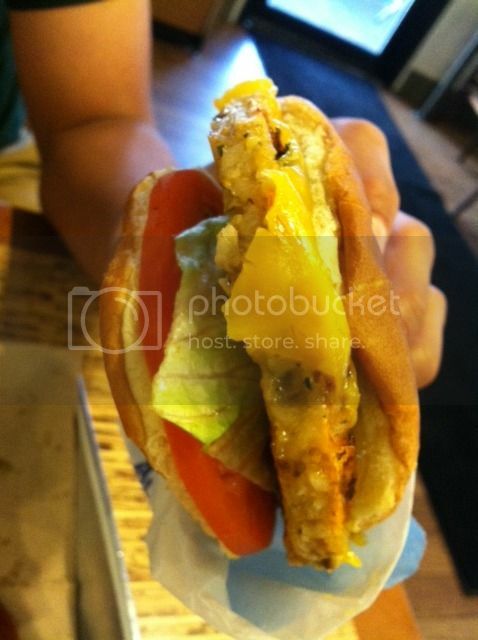 Posted in catalyst cleanse, cleanse, elevation burger, jar bar, juice cleanse, kale, raw food, veggie burgers, veggies. Bookmark the permalink.